We’d like to share this beautiful testimonial and pictures from our friends at Halcyon Fields, we’re always happy to hear about your special experiences with WWOOF! We just wanted to say thank you for providing such a great way to connect people with Ausssie farmers. We have had over 20 WWOOFers over the last 2 years with some staying for over 3 months! 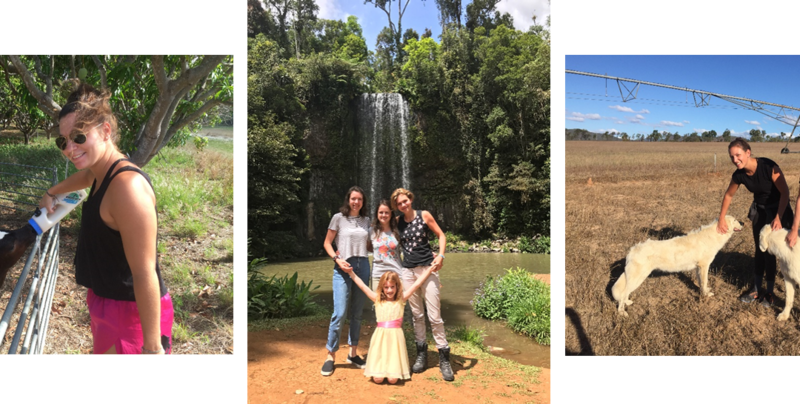 We have enjoyed WWOOFers from Japan, China, Germany, Austria, Denmark, France and even one from the inner suburbs of Melbourne who wanted a break from city life. All our WWOOfers have come as strangers and have left as part of our extended family, contributing to the growth of our farm and bringing laughter and joy to our lives. We have included some of the photos we have of our WWOOFers enjoying farm life and spending time with our family… Our current WWOOFers are leaving next week and we would love someone else to come and enjoy our farm. Thanks again for being a great help to Aussie farmers. We love getting feedback and hearing all about your experiences! Whether you’re a WWOOFer or a Host, please feel free to post your own testimonial and share your story with the community!